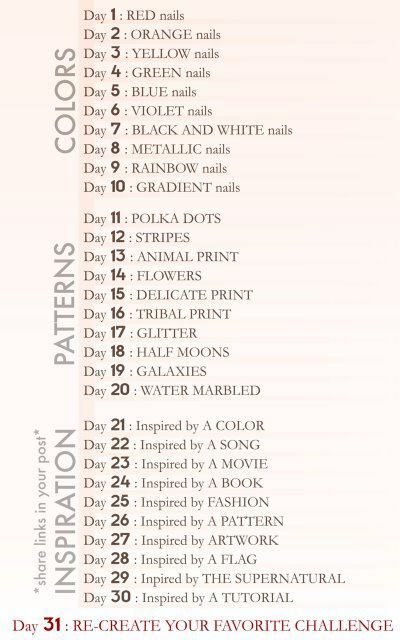 Nails on Nails on Nails: 31 Day Nail Challenge! I'm going to start doing this challenge! How are you going to do "Free Fallin'" for day 22? Was planning on some "Party in the USA"!